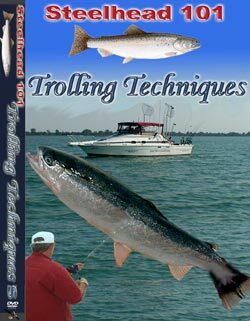 Captain Jim Flemming demonstrates the techniques, tackle, and equipment used to effectively troll for Steelhead. Equipment, rigs, spoons, boat speed, and strategy are all revealed to increase your catch. A "Must-Watch" for those wanting to learn the secrets of a Top Charter Captain.